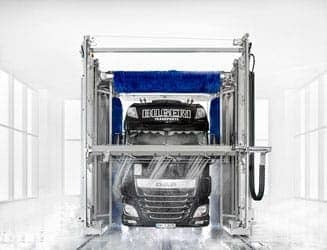 The perfect addition to the wash system if vehicles with special geometries such as silo trucks and special vehicles have to be washed. The JETSTREAM high pressure device is also designed to pre-clean very dirty vehicles such as tipper trucks and disposal vehicles. 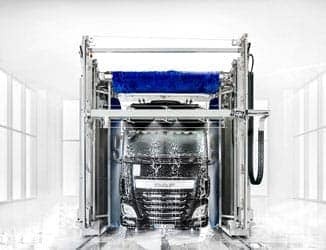 Four electro-mechanically oscillating high-pressure nozzle units per wash system side, which are equipped with contra-rotating high-pressure blast nozzles spray the vehicle powerfully while the wash system moves. 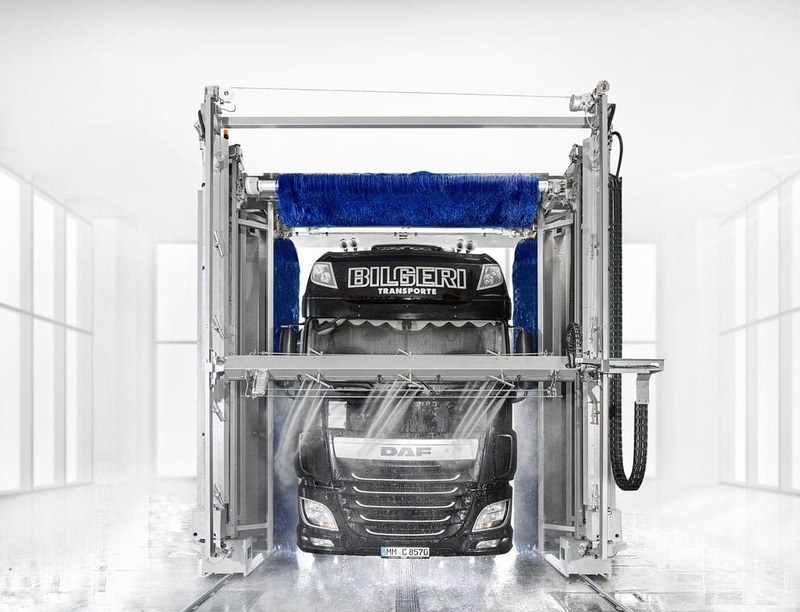 The front and rear wash is performed by the integrated swivel device for the high-pressure nozzle units. 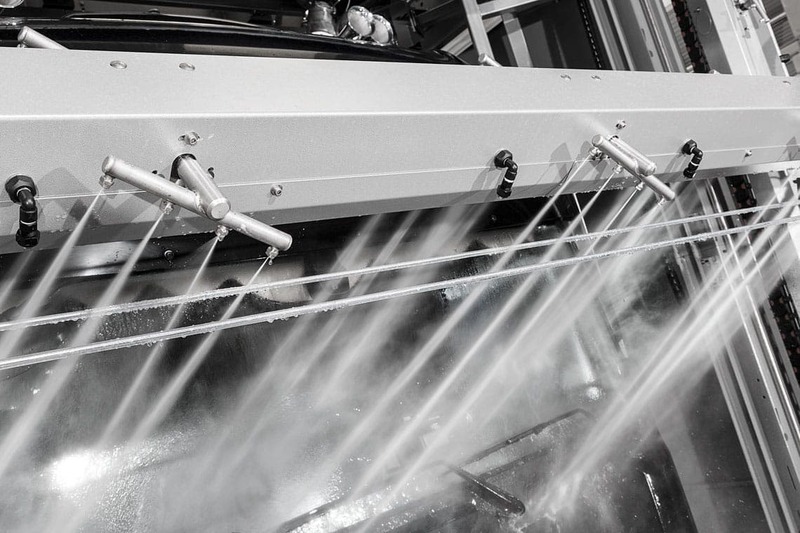 The manual pre-cleaning effort required by the pre-wash staff is reduced significantly with the JETSTREAM. 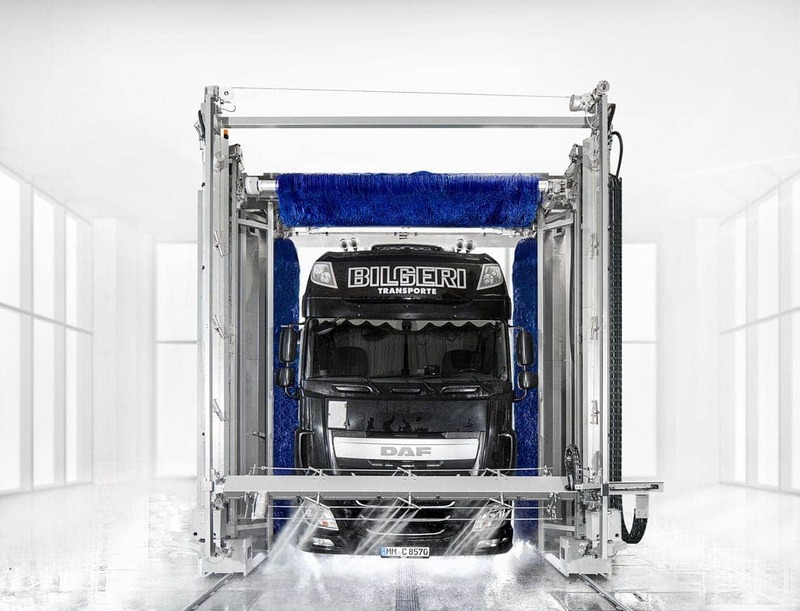 Of course, the JETSTREAM can also be used to pre-clean all other commercial vehicles. 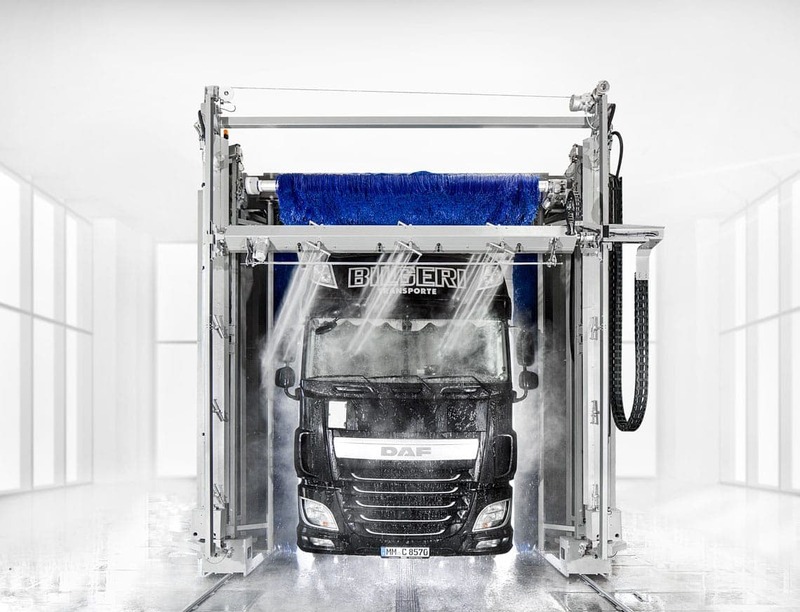 Due to the washing effect and the special visual effect of the wash course, the commercial vehicle wash unit’s attractiveness is increased compared to the competition. The high-pressure pre-wash using the JETSTREAM can be procured and sold especially as an additional wash program in order to increase the wash counts and average wash prices. Our special high-pressure JETSTREAM that is equipped with oscillating high-pressure blast nozzles is optionally available. This high-pressure unit is available as a stationary and integrated version. 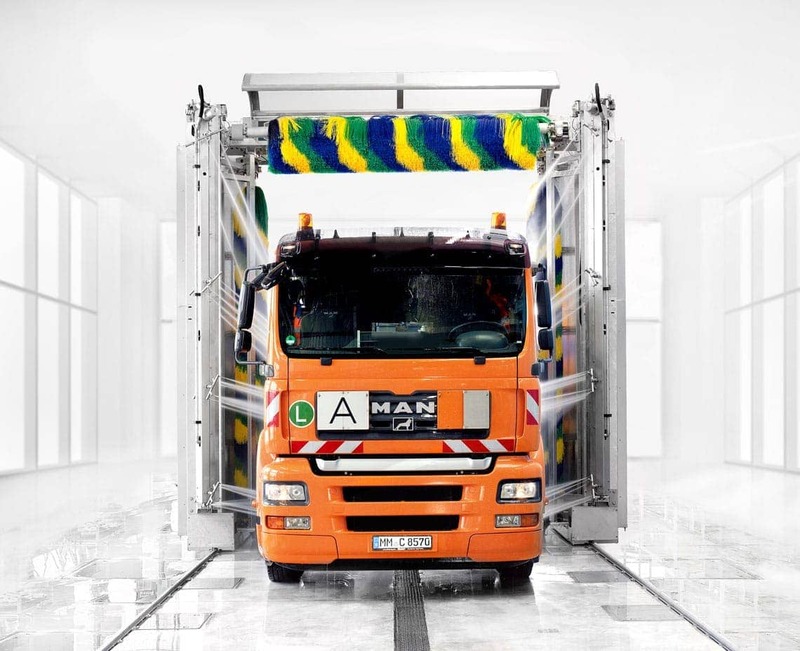 The JETSTREAM solution that is integrated into the wash portal is used wherever there is not much "manpower" available or where the vehicle contour would require a high degree of personal pre-cleaning. The JETSTREAM can be operated with an optional rotary pump (approx. 20 bar working pressure) or as a high performance variant with two reciprocating diaphragm pumps (up to 80 bar working pressure). • JETSTREAM with 80 bar max. 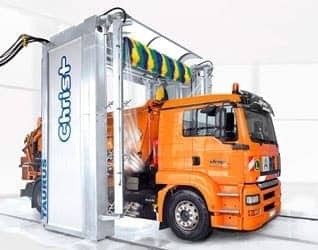 The stationary version is used primarily in commercial vehicle wash units. The vehicles are therefore pre-cleaned as soon as they enter the wash hall. 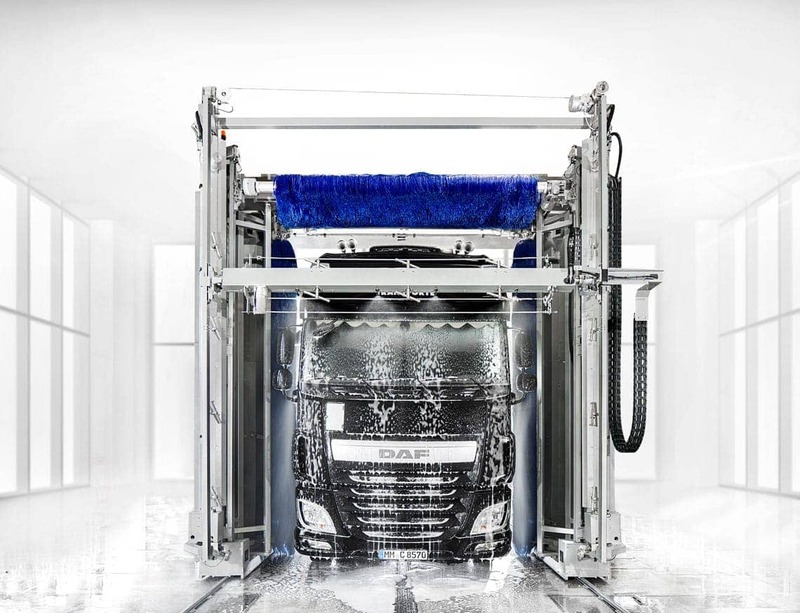 The entrance time is used effectively and the manual pre-wash reduced to a minimum. A swivelling horizontal beam ensures perfect application of the pre-wash chemistry on the front, roof and rear surfaces. 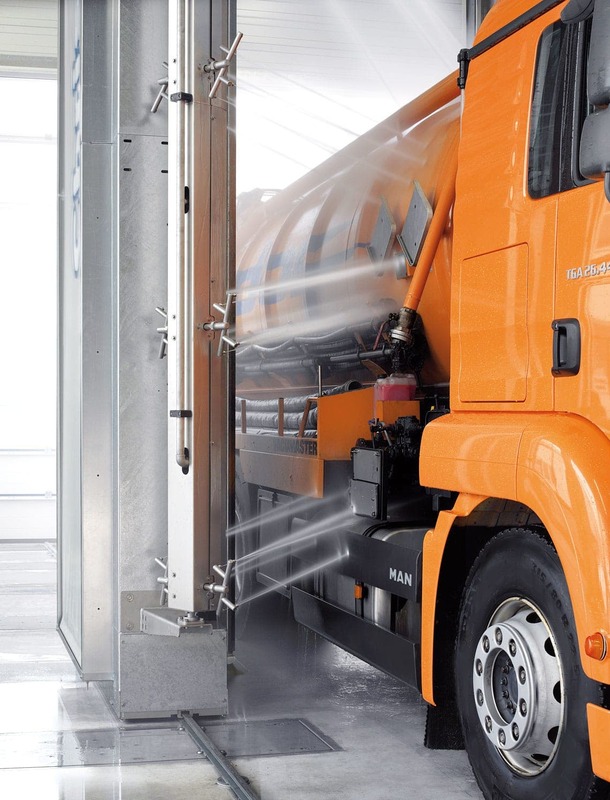 Swivelling and oscillating nozzle units ensure comprehensive cleaning on the vehicle’s front, roof and rear area. 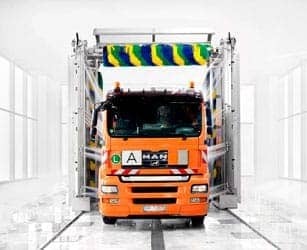 Optimal complement for bin lorries, tankers and silo trucks.